Do you always know the answers to Jeopardy questions? Have one special area you really know about? 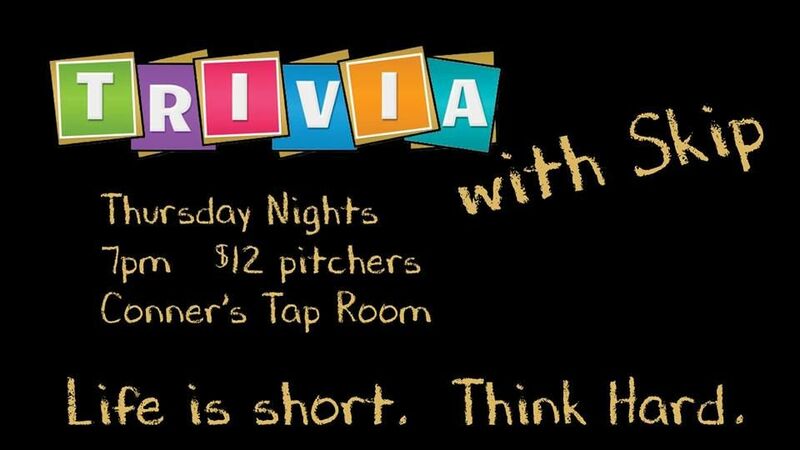 Put that head full of knowledge to use, get off the couch and grab your friends for a round of Trivia with Skip Dailey at Conner's Tap every Thursday night! Eat, drink, and tease your brain with your group, enjoy a $12 pitcher if you want, and if you're in the top three teams you'll win a prize. It's free to play, fun to win, and a great night all around.